So, what to expect when lunching at this picturesque Hemel-en-Aarde estate over Easter? Well, the grapevine has it that Carolyn and the Creation Culinary Team have been busy, busy – with what they enjoy most. And that is the planning and pairing of what promises to be a feast of flavour, yet again. “At Creation we believe what grows together goes together. Accordingly, our Easter menu is inspired by our elegant, terroir-reflective wines and based on fresh, locally grown produce, most of which is sourced within 50 kilometres of our farm,” Carolyn explains. 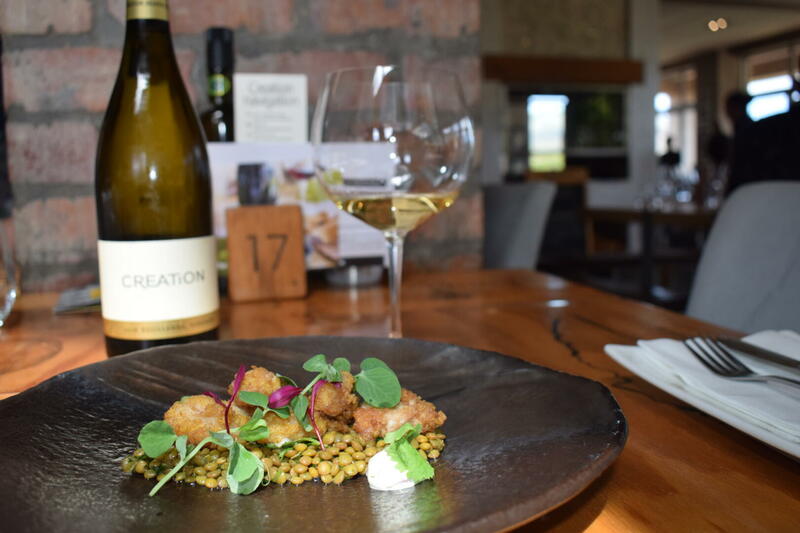 Among the highlights on the Easter 2019 small-plate pairing menu is the Pan-fried Sweetbreads, Curry Spiced Lentils, Mango Salsa and Labneh – a dish specially designed to complement the Creation Grenache Noir, Viognier Rosé. The complexity and fresh fruit character of this wine make it a nifty food partner. The bouquet of peach and apricot offers an attractive foil to the spicy lentils, while enhancing the mango in the dish. 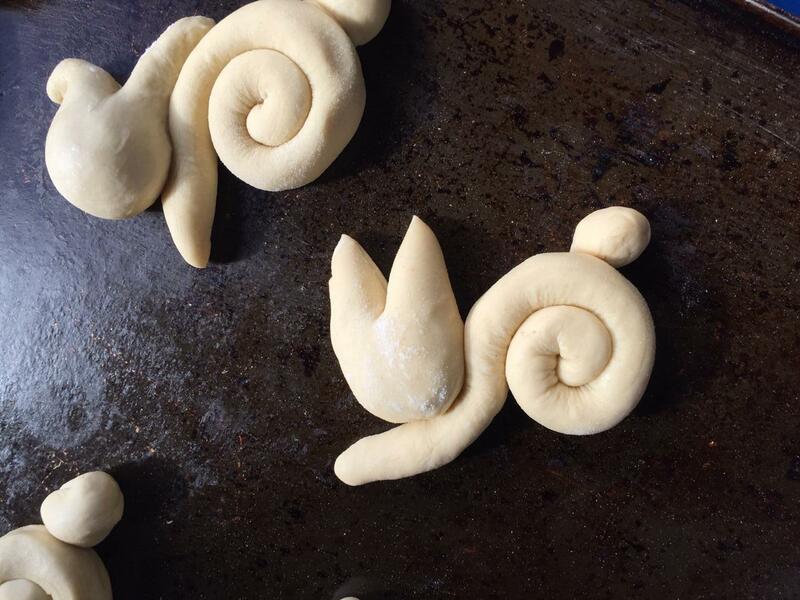 This results in an exciting fusion of flavours. The sweetbread adds interesting texture to the pairing while the labneh is in harmony with the subtle buttery nuance in the wine. Click here for the recipe. 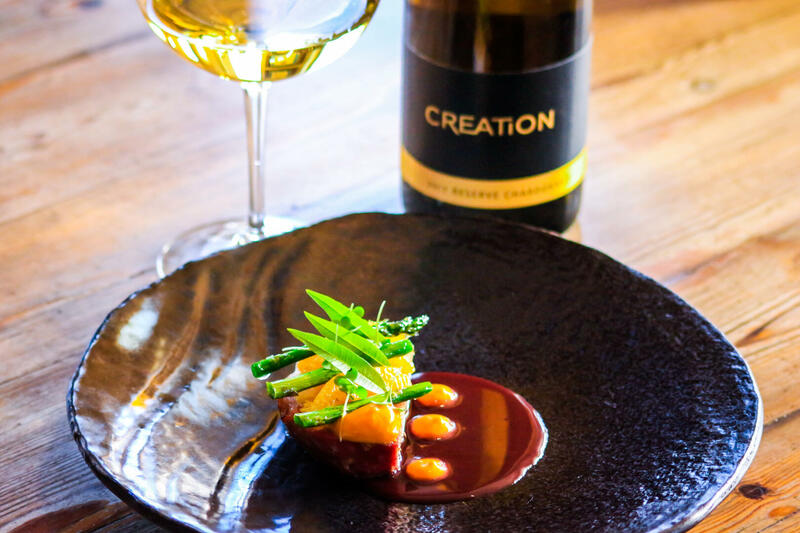 The Smoked Gammon with Carrot Purée, Asparagus, Sweet Citrus Jus and Mustard Shoots is the ideal partner for the award-winning Creation Reserve Chardonnay. The smokiness and saltiness of the gammon are temptingly offset by the crisp fruit flavours in the wine. The carrot purée adds a trace of sweetness which picks up on the hint of honey in the wine and the sweet citrus (orange) jus and lemon verbena in the dish enhance the citrus aromas in the Chardonnay. All in all a memorable match which many may like to emulate! Click here for the recipe. 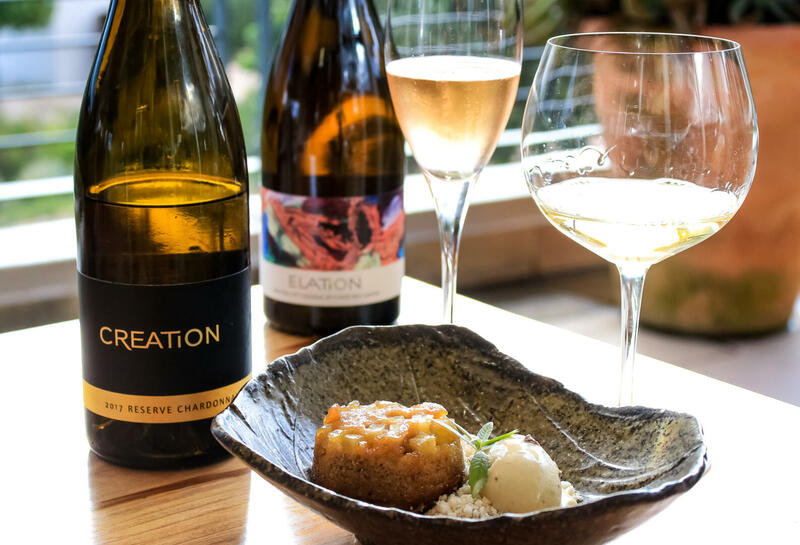 And then, with the Apple and Apricot Spiced Jam Pudding with Sultana Purée, Toasted Coconut Soil, Vanilla and Raisin Gelato you have the choice of another glass of Creation Reserve Chardonnay or the Elation MCC Sparkling Wine. Both wines perform magic with this sensationally fruity dessert with the Chardonnay enhancing the richness of the coconut, vanilla and gelato and the crispness of the Elation MCC counterbalancing the richness. Click here for the recipe.